This was the Collin County Poor Farm cemetery. The Poor Farm lasted until the mid-1950s. 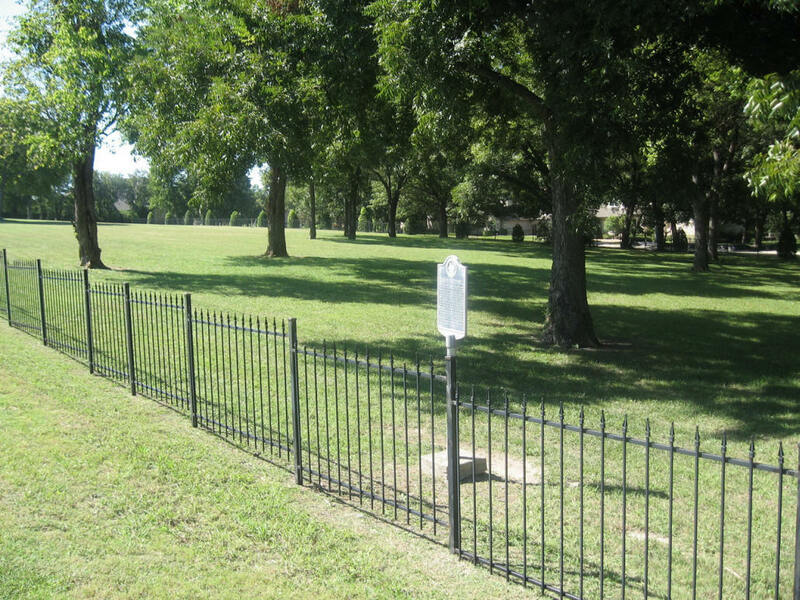 The cemetery is surrounded by a 3-foot chain-link fence that has a gate in the middle and a driveway on the north end. It covers 2.75 acres of land. The cemetery is deeded in commissioners court minutes. At the time of my visit, the weeds were 4-feet high. There are 7 yellow markers in a row near the center of the cemetery with another marker in the same line about 12 feet to the south. There are 3 other markers in the southwest corner. There are two markers near the fence on the east. The markers are about 4 feet high and 4 inches wide, of-white plastic, with 4-x inch yellow reflectors on top. The markers are to tell mowers where there are hazards. At a follow-up visit in October 1994, a stone had been added near the fence, south of the gate. There are markers on each side of the stone. There are aluminum funeral signs near the middle of the cemetery between the other markers. Some of them have names on them. People who have visited the cemetery in the past say there are marble headstones in the cemetery. Not all of the yellow markers mark graves. COLLIN COUNTY CEMETERY INSCRIPTIONS I lists 12 graves in the cemetery. There are probably more. The county should have a record of the names and dates of burials. As yet such a list has not been found. Prisoners, who died in the old Collin county jail, were also buried here. There may be court records of their burials. The historical marker for the Poor Farm is about ½ mile north of the cemetery. It says that the county takes care of the cemetery. On some maps Hardin Blvd. is called Foncine Road. In 1994 a Boy Scout troop cleaned the cemetery. The land around the farm has recently been bought by Jerry Jones of the Dallas Cowboys.